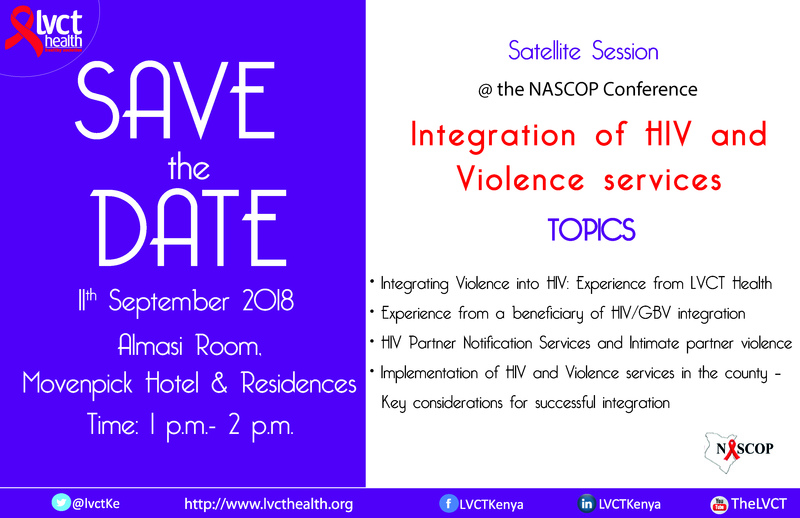 LVCT Health will be participating at the 2018 HIV Prevention, Care and Treatment Scientific Conference to be held from the 9th to 12th of September in Nairobi. The theme of this year’s conference is “TURNING THE TIDE; preventing new HIV infections and optimizing treatment outcomes”. The biennial conference is convened by the National AIDS & STI Control Program, Ministry of Health and the HIV Clinician Society of Kenya and brings together government officials, development partners, institutions of higher learning, HIV experts and researchers, implementing partners and organizations of persons living with HIV, among others to share innovations and strategies towards achievement of epidemic control goals in the fight against HIV in Kenya. As one of the key HIV implementers in Kenya, LVCT Health will present two oral and 13 poster presentations during the conference. The one hour session will include an oral presentation, experience from a beneficiary of HIV/GBV integration, panel discussion with technical experts and a question and answer session from the audience. Congrats for good work on prevention of HIV/AIDS AND STIs Deceases.